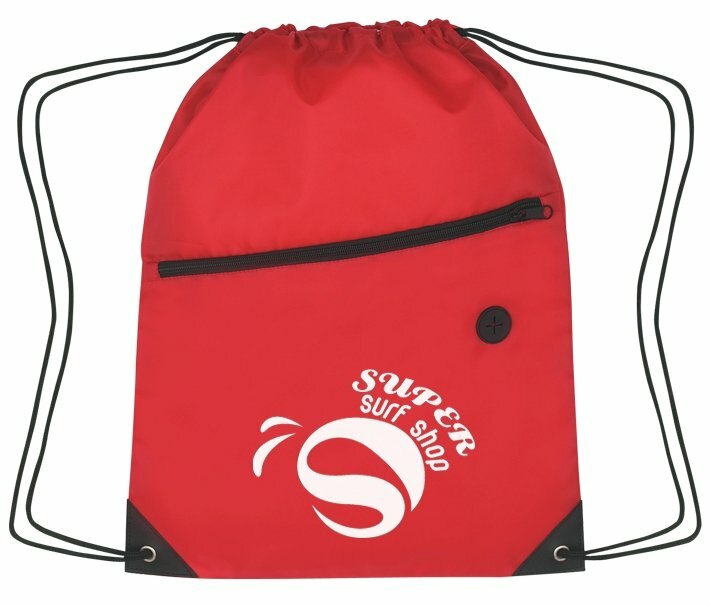 Drawstring Backpack for high schools, colleges or game tailgating with a logo. pocket, front port for earbuds, metal grommets & dual drawstring cords. Overall size of the Accent Drawstring Backpack is 13 1/2" w x 18" h.
Delivery from date of an order is 3 weeks. Price includes a one color imprint on front in area 9" w x 4 1/2" h.
color add a setup and a running charge of $.50 each. Factory reorder setup charge is $25 per print color. Logos require Illustrator or In Design eps or pdf.